Hey, ya’ll. It’s no secret that I’m not a genius in the kitchen – or anywhere else, for that matter – but there are those who are! I wanted to introduce you to a fabulous side dish my sister shared with me. 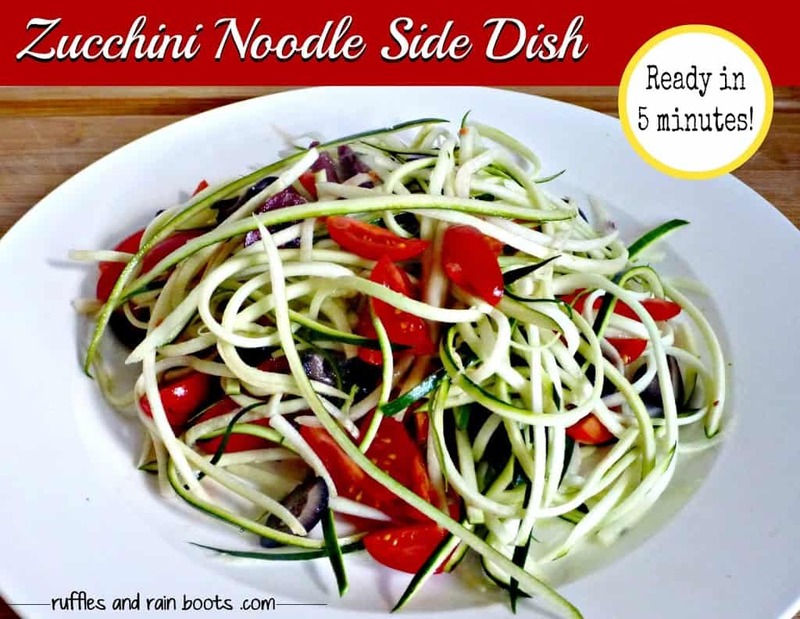 This zucchini noodle side is a cinch to prepare, is ridiculously quick to put together, and is lip-smackin’ good. Oh, and I forgot one of the best parts – you don’t have to cook anything! Now before you say, “ooh, raw zucchini,” just try this. You will be amazed at the taste, I promise. My husband, when eating this for the first time, said, “This. This is how you should prepare zucchini every time.” The little one even eats it, so it’s now become a staple in our house. Click on “Read More” to learn how to have your family salivating for zucchini in no time! I’ve even created a moniker for it: super zucchini! When I say that this is quick, think 5 minutes quick. We buy organic zucchini and sometimes this means they are smaller than non-organic, so I have to use two to feed the three of us. This week, however, I found the largest organic zucchini I’ve seen in the stores this year and we had a bit leftover. 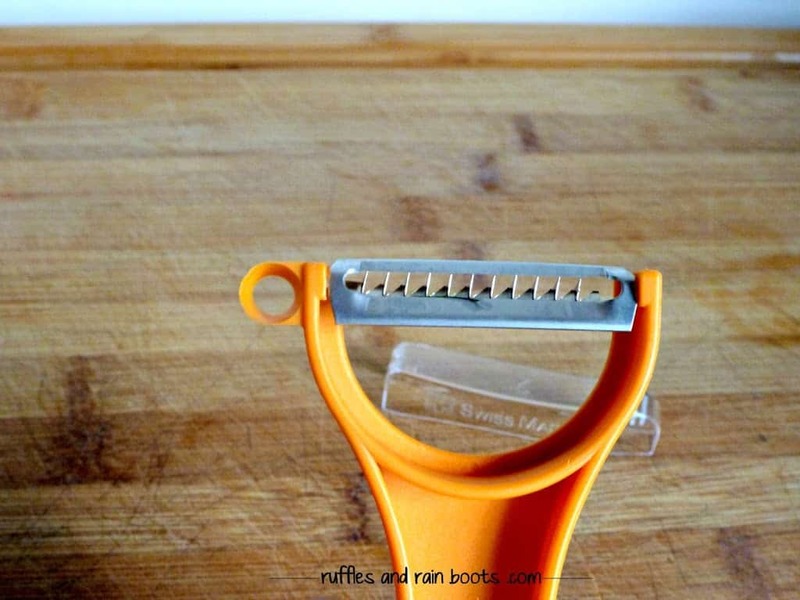 peeler to make the noodles and my sister uses a Kitchen Basics® Spiral Vegetable Slicer – Stainless Steel Vegetable Spiralizer (partner links). Both of the ones I mentioned are under $10, but anything you have to julienne vegetables would work. 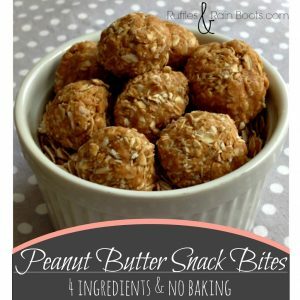 There is a secret ingredient to this recipe, and because you only use a small amount, it lasts a very long time! There is something magical about truffles, and if you don’t think about them too long, they make for a tasty addition to a lot of dishes. They are expensive though, so this oil allows those of us who aren’t dining on caviar nightly to bring a taste of luxury to our dishes. 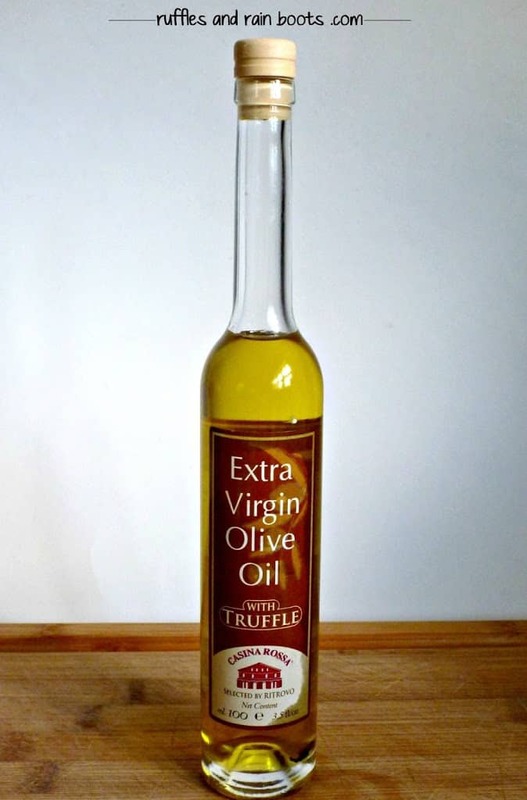 Make sure it’s olive oil with black truffle, and you’re set to indulge! 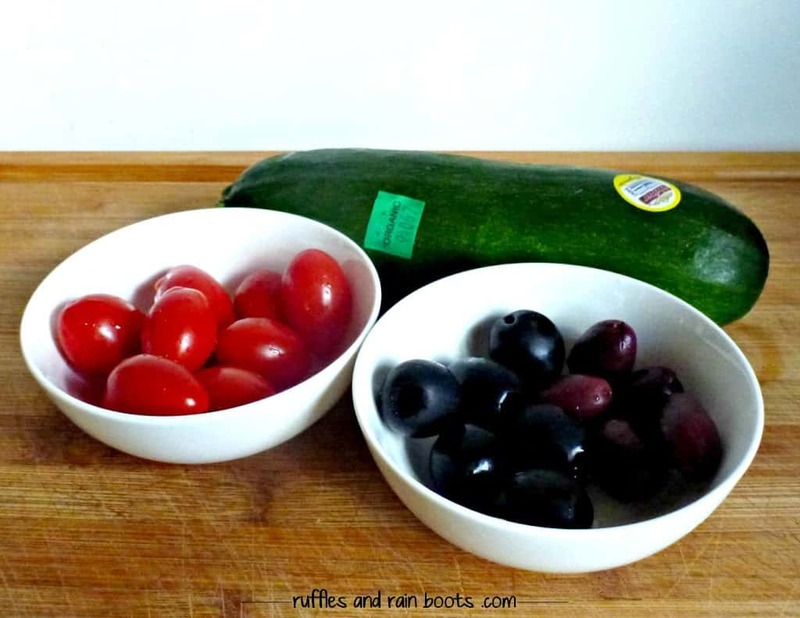 Wash everything and cut the cherry tomatoes and olives in half. 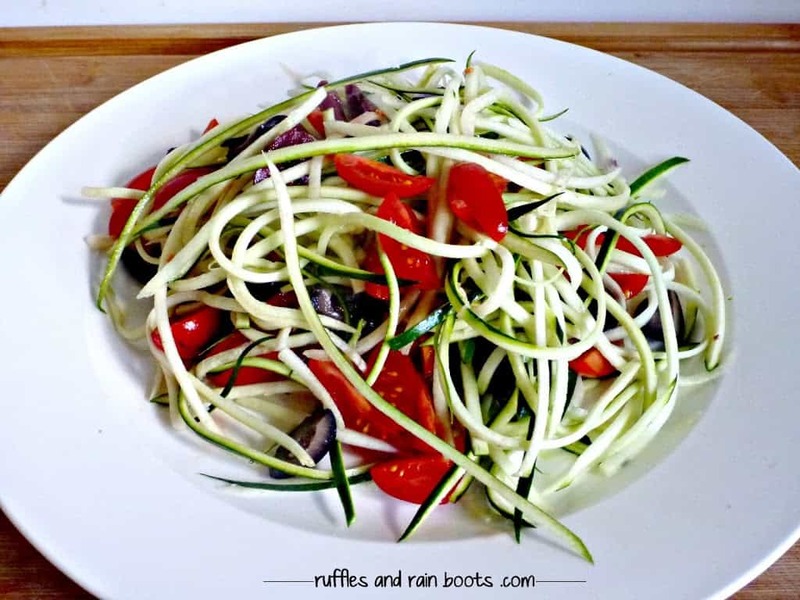 Use the julienne or spiral slicer on the zucchini. To the zucchini, add in 1/4 to 1/2 teaspoon of olive oil with black truffle and 1.5 tablespoons of EVOO. Add the tomatoes and olives and refrigerate for about 20 minutes (I have served it immediately and received singing praises as well). Just before serving, you can add the sunflower seeds if you would like to use them. 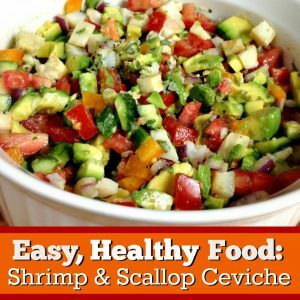 This is ready in 5-7 minutes and is such a tasty side dish. As I mentioned, we have it at least once per week now, and everyone in the house is a fan. 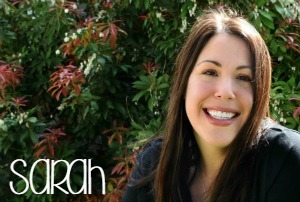 This was shared on Google+ by Sarah Nenni-Daher. Click here for our day-by-day link party list! This post contains partner links. Please click here to read our full release. My family loves zucchini. I’m so interested in the truffle olive oil! Happy SITS Day! Tammi, I’m not gonna lie – that truffle oil is unbelievable! I’ve been finding uses for it and because the holidays are coming up, I’ll be incorporating it even more. Thanks for visiting from SITS today. My family loves zucchini. I’m so interested in the truffle olive oil! Oh my goodness, this looks so delicious and simple, I am pinning it for later. I have wanted to try zucchini noodles for a while, and just haven’t the right push (for absolutely no reason whatsoever). I said the same thing, Angela! It takes no time at all to prepare and this is still one of the most served sides in our house because everyone gobbles it right up. Thanks for stopping by.